Hussein Hassan, the director of the award-winning Iraqi film "Reseba – The Dark Wind," has withdrawn his visa application to the United States Consulate for clearance to attend the North American premiere of his film at the 34th edition of Miami Dade College's Miami Film Festival. "Hussein Hassan shot his film RESEBA – THE DARK WIND at the front line of the war between the Kurds and the so called Islamic State. Hussein Hassan risked everything to present the true face of the war. Hassan is not a fighter at the front line, he fights with his artistic soul against terrorism and crimes. The US are the closest and most important allies for Kurdistan. Now it seems to be impossible for a Kurdish artist to visit the US to present his work. As an act of peaceful protest, Hussein Hassan decided to withdraw from his visa application. 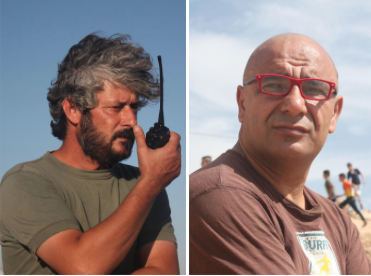 We as Kurdish filmmakers hope that Donald Trump will acknowledge the Kurdish people." The 34th Miami Film Festival will take place March 3-12.